South and East Lake Morton District’s in Lakeland FL front porch mentality, historic charm and close proximity to downtown defines a sense of living that current residents cherish and you will, too. Lake Morton is teeming with beauty and life, which radiates outward into its neighborhood’s winding streets, rolling topography and charming homes. Walkers prefer its quiet shoreline for a stroll and to catch a peek at one of the many swans that call its waters home. 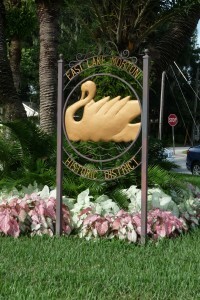 Most homes in the neighborhoods within the Lake Morton District were built during the Florida Boom between 1920 and 1926. Looking to replace Southern California and European Riviera living, homes were fashioned in mostly Mediterranean Revival and Craftsman bungalow style, but also include Federal Colonial Revival style, and the English Arts and Crafts Tudor style. 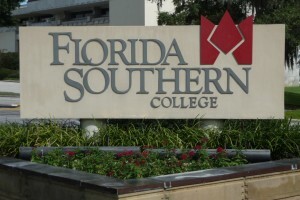 The neighborhood also is home to several other public and semi-public buildings rich with architectural and historical significance including Florida Southern College’s campus filled with buildings designed by famed architect Frank Lloyd Wright, the Lakeland Public Library, and the Polk Museum of Art, which add to the neighborhood’s appeal. Lake Morton’s South and East neighborhoods are two of Lakeland’s six historic neighborhood districts, which means all exterior alterations, demolitions and new construction must be approved by a board. This protects the unique architectural, cultural and historical character of the district. You can find a map of historic districts and learn more about their guidelines here. 2. Lake Morton residents have a strong sense of pride and community. That front porch mentality we mentioned earlier is maintained and strengthened in part by a very active Lake Morton Neighborhood Association. One way they do this – and something that may interest you if you think you would enjoy living in a Lakeland historic district – is with their Annual Historic Home and Garden Tour. This is a self-guided walking or shuttle bus tour open to the public that features 8-10 homes and gardens in the south and east Lake Morton historic district. 3. It’s home to several wonderful restaurants. The Red Door Wine Market, Mister Fish and Patio 850 are all located in the Lake Morton District, and are favorites among Lakelanders far and wide. 4. It has a library and museum. Nestled side by side and across the street from The Red Door Wine Market and Mister Fish, are the Polk Museum of Art and Lakeland Public Library. These two places are as fun to look at as they are to visit. PMoA admission is free Thursdays, Fridays and Saturdays. Mayfaire by-the-Lake, that lake being Lake Morton, is one of Central Florida’s largest and longest running outdoor art festivals. It is even on Sunshine Artist magazine’s prestigious “Best 200 Art Shows.” Learn more about Florida’s premier outdoor art festival here. 6. It is close to retail districts (not that you would know it. It may feel like you are in your own little world when you wander Lake Morton’s picturesque neighborhoods, but in truth, you are a short walk or bike ride from thriving retail districts. In downtown Lakeland you’ll find unique dining and shopping experiences, a thriving nightlife and family-friendly events that include the Lakeland Downtown Farmers Curb Market, monthly First Friday and Thursday Squared Food Truck Rally events, Brewz Crewz Craft Beer Festival, Holiday Walkabout and much more. Dixieland – Southwest of Lake Morton, Dixieland is a growing community and a great place to eat, shop and play, as you’ll see in this video. 7. It’s perfect for those with active lifestyles. Biking – The City of Lakeland was designated a Bronze level Bicycle Friendly Community by the League of American Bicyclists in 2012 for its commitment to cycling as a means of recreation and as a mode of transportation. Make sure you check out the Greenway Pedestrian Connector and Lake-to-Lake Bicycle Connector map here, for safe and efficient ways to exercise and get around Lakeland from the Lake Morton District. Jogging – Lakeland is home to many pub runs, with the one of the longest standing and most popular being in the Lake Morton District at the Red Door. The run is organized by Fitniche Running Specialty stores and is attended weekly by more than 100 runners and walkers of all ages and fitness levels. It’s a great way to hold yourself accountable and meet new friends. Follow the Fitniche Tuesday Night Pub Run on Facebook to see what you are missing. Just Southeast of Lake Morton, Lake Hollingsworth hosts a very popular 2.7-mile jogging trail for those who would rather strike out on their own. Boating- If you like leisure boating, powerboat racing or water sports, you’ll probably be spending a lot of time at Lake Hollingsworth, Lake Morton’s south neighboring lake. 8. Florida Southern College’s Frank Lloyd Wright architecture collection. With 10 buildings and two additional campus structures, Florida Southern College has the largest concentration of Wright designed structures anywhere in the world and is in the National Register of Historic Places. It could be in your back yard – just saying. Learn more here. 9. Lake Morton is a birdwatcher’s paradise. Lake Morton belongs to its wildlife. It is a hotspot for birdwatchers, artists and photographers wanting to catch a glimpse of white and black swans, pelicans, ducks, geese, eagles and more. 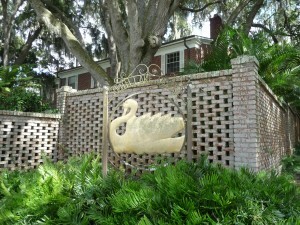 A favorite to most visitors and fittingly Lakeland’s mascot, are the swans. Lake Morton is home the largest population of Lakeland’s swans, which were actually donated by Queen Elizabeth from Richard the Lion-Hearted’s flock in England. You can read the whole story here. 10. The Movie Endure was filmed here. Lakeland has played muse and background to many movies including Endure, which was filmed mostly in Lake Morton neighborhoods. 11. Visitors love to come here. Here is what Trip Advisor contributors had to say about Lake Morton after a visit. Hint: They loved it! 12 Lake Morton neighborhood residents love their community, too. Ten years ago I was so excited to find this neighborhood. It’s so close to Downtown Lakeland, the library and the Polk Museum. Now the neighborhood hosts a couple of great restaurants. Add all of those amenities to having a beautiful area where you actually get to know your neighbors, and it’s a little slice of heaven. Check out this video about the Historic District of South Lake Morton and East Lake Morton.